My Advent Calendars So Far! So this is already post number 70 on the blog (can you believe it!?) and It’s probably about time I properly dived into the Christmas spirit on here. I thought today I’d show what I’ve received in my fabulous advent calendars! I’ve never indulged in a beauty one before as I was never really sure whether they were worth it. I have been loving this already, although I’m not a fake tan kinda gal it has a lovely slight glittery tint to it and smells similar to Paco Robannes Olympéa which is my favourite perfume EVER. I’ve only tried this on the back of my hand so far but I absolutely love the smell of it. It felt greasy at first but sunk into the skin fast so it could be a winner! The packaging for it is quite plain though so I can’t say it caught my eye. The bottle being gold and smell of this is super luxury, I really really love this other than the fact it’s quite hard to get out of the bottle for some odd reason! I haven’t yet had a chance to try this but it’s to help with wrinkles so I can’t say I need it quite yet! This may be one I pass on to someone who needs it more than me. My mum was super excited about this one and put it on as soon as she opened it, haha! I haven’t yet had a chance to try it but I love the funky coloured tube and the smell is really appealing! Sort of similar to Elemis products. How GORGEOUS is this colour!? I am so pleasantly surprised as it’s such a universal shade. I’ve never tried any Stila products due to the price but I’ve always lusted after them. I absolutely love the smell of this which is odd as I’m not usually a huge fan of rose. It feels so nice once applied but I did feel like I needed to use quite a bit of it to cover my face. It is a lovely and thick cream though, perfect for overnight! I received an eyeko eyeliner in my monthly beauty box once and absolutely ADORED it so I’m quite excited to try more of their products! The brush on this looks quite promising. It’s also waterproof and in a squeezy tube so no product will go to waste. My mum was super disappointed with this day as she says she never gets round to using nail varnishes but I’ve recently become interested in doing mine so I’m really excited to use this! Such a cute, christmassy gold, too. I’m not exactly sure what this is but it says to use when dull skin needs a lift so I’m assuming it’s a product to help your skin glow. It says to massage into dry skin so I think it may be a similar product to The Body Shops peel which i never got on with that well so I’m not sure if this will be a product for me. The appearance of this is plain but it holds such a beautiful creamy smell and I imagine it’ll be so moisturising once popped in the bath. I love the cute heart shape and red and white theme of this one! And the main ingredients are Frankincense and Myrrh which makes it super Christmassy. This smells so super lovely but I’m not a big soap user and there are quite a few in this calendar so I think I might pass this on to Jake as he LOVES mango! I’m not usually the biggest fan of strawberry products as they usually have quite an artificial smell to them but this is actually so sweet and lovely! It’s also rolled in Cranberry seeds which is a cute addition. Doesn’t it look absolutely adorable with all the stars in it!? I’m impressed with how they’ve still kept the designs so adorable on these minis. I’m excited to bathe in the cocoa and shea butter based goodness. This one is such a warm scent and so perfect for Christmas. 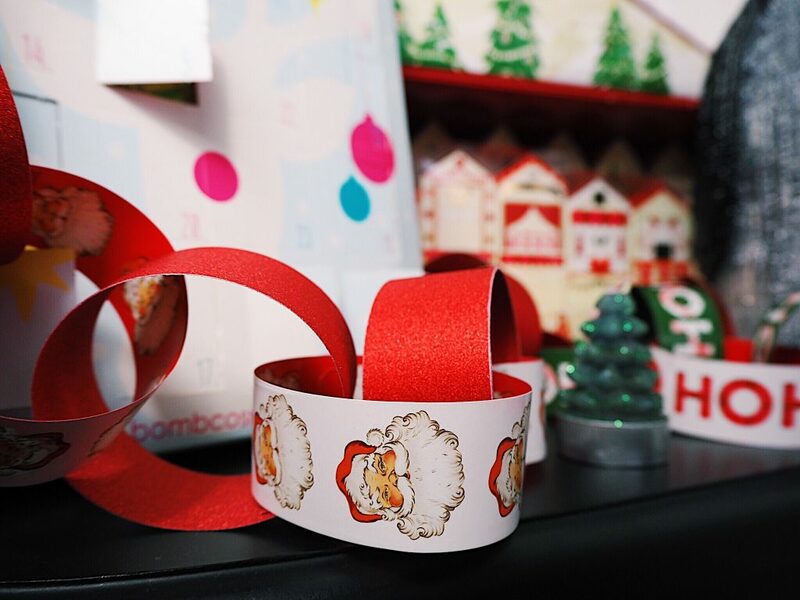 I actually wrote about it in my Bomb Cosmetics post here and how cute and lovely it is! I’m really glad I have another now as Jake really wanted to try it but I was too in love to part ways with it. I love how these mini soaps still have the little details in them like the big ones! This is a girly floral soap with calming chamomile in. This smells divine, it has bergamot and lemongrass in and reminds me of products they use at a spa! Lemongrass is definitely one of my all time favourite ingredients for pamper products so this is going to be used up very quickly. Two of my favourite fruity smells in one! This looks so adorable in a little heart shape and the fact that it’s multi-coloured makes it look like a little unicorn blaster – so cute! The mixture of colours in this one look so funky and the smell is to die for! I’m a sucker for anything with rhubarb in recently as it smells super sweet and strong. So as you can see, I’ve been having the time of my life getting little pamper surprises everyday! 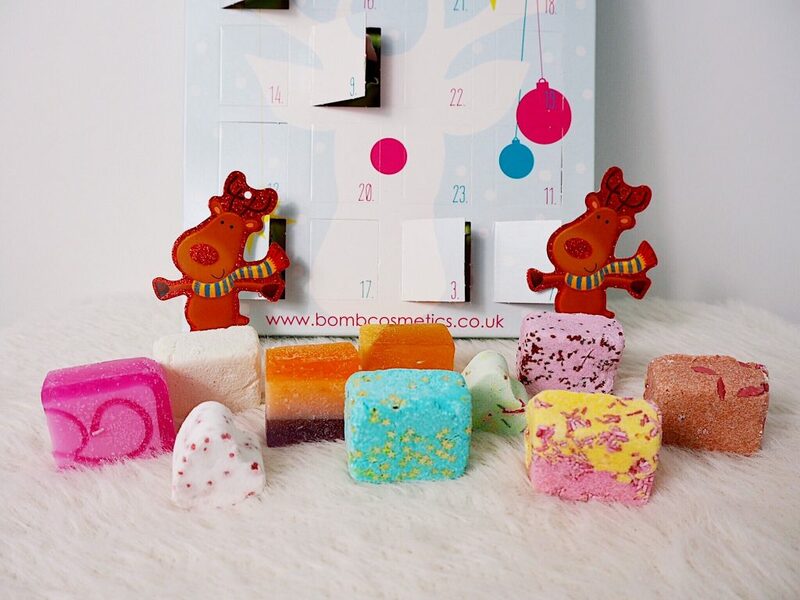 Do you have a beauty advent calendar this year? Have you been loving it as much as I have? They look so good! I saw M&S one in store and I really wanted to get one, the products inside looked really good! 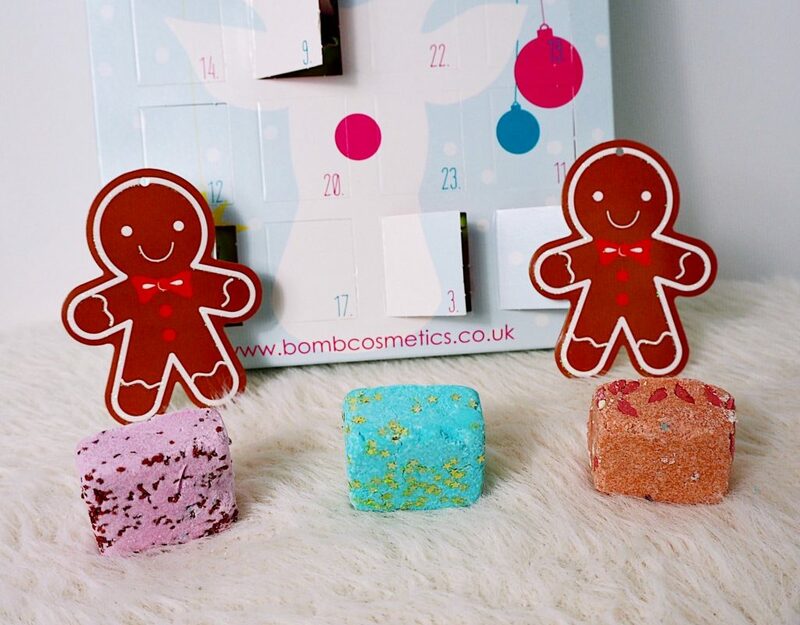 I’ve never had a beauty advent calendar, but I’m hoping to get one next year and I’m planning to go big haha both of your advent calendars are so good and the products are incredible! These look so good! The M&S Beauty Advent Calendar looks so cute. I wish I decided to get a beauty advent calendar this year. I just went for a Kinder chocolate one instead! 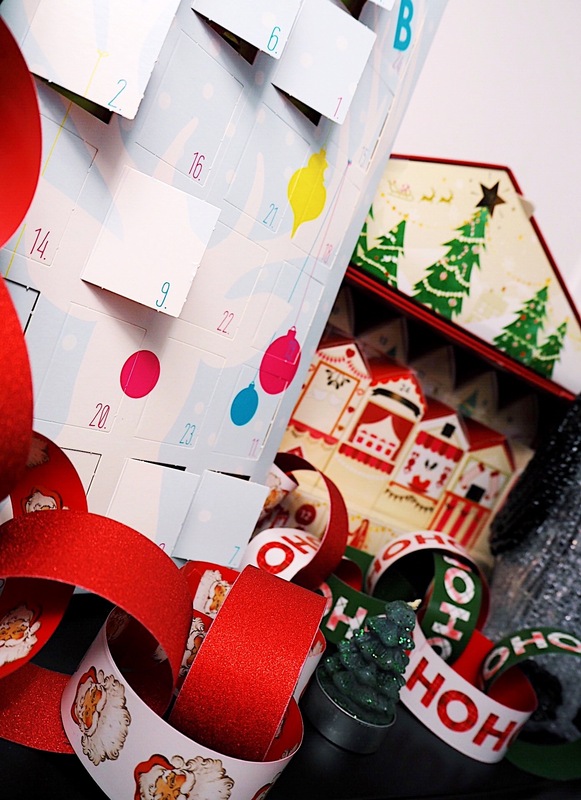 That M&S advent calendar is incredibly pretty! The packaging is just so aesthetically appealing, I’m not sure I’d want to open it! It sounds like there’s plenty of goodies inside though, especially the Stila lipstick! So glad you’ve been so impressed by both of your calendars, they certainly seem a lot better than a certain Zoella advent calendar haha! I love this! Seems like you’ve received some great treats from the M&S Calendar, not quite sure about it myself but I’m glad you’ve received products you like! I actually looked at getting the Bomb Cosmetics Calendar but unfortunately I went with the Mad Beauty one instead. Definitely feel this one will be on my list for next year, some great products! I can not wait to open my Mad Beauty Calendar, unfortunately it was a 12 Days of Christmas! Gatineau skincare is one of the best, it actually helps to prevent wrinkles so you should definitely use it. I swear by their skincare, makes my skin look so good and I’m only 23! Great post! I love advent calendars and got myself the traditional chocolate one this year. You look like you got some great products so far! That bomb cosmetics bath one looks super cute! Oooh haven’t heard of the M&S one yet but it looks amazing so far!! I am kicking myself as yet again silly old me didn’t get a single beauty calendar this year! I’m loving reading your little descriptions of each thing you get, will you be doing another post with the rest of the doors? If I can’t have my own calendar I’m just gonna read about everyone else’s! ? Every year I say I’m going to get a beauty advent calendar but I never do – I always feel like I’m missing out come December 1/2 haha. 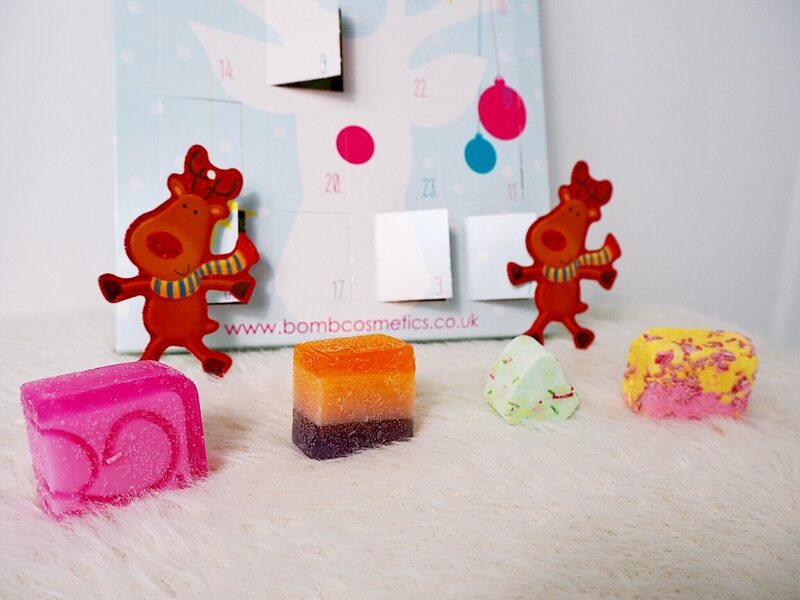 The bath one looks so nice – must be nice to stock up little bath treats to use during these colder nights. I really wish I had gotten one for my pup – I think he would loved that! But my forever dream advent calendar will probably be from Diptyque – a girl can def dream haha. You have some amazing products in these! I really wanted to get the bomb cosmetics calendar as I LOVE their products and to get to try a whole variety would be a dream! I also really love your pictures in this post! So jealous of your bomb cosmetics calendar? all of the products in this look amazing! The M&S one look great aswell – I locebthe lipstick colour!?? Both of these calendars sound incredible so far! The Stila lipstick looks absolutely gorgeous and the Nuxe Shower Oil sounds really lovely as well. This year I couldn’t find a beauty calendar I knew I’d love so I ended up buying products for myself and my mom did too and she puts one of them every morning inside this random Christmas sock that hangs on my door! It’s safe to say that I’ve loved everything so far and I love that you can make it completely your own and mix beauty, fashion and lifestyle items if you want ? 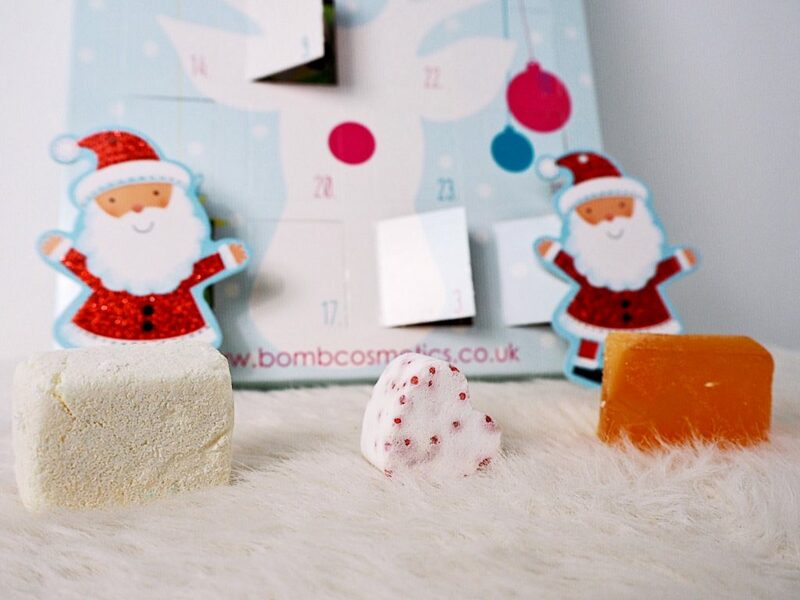 The Bomb Cosmetics Calender is so good, and absolutely perfect for you?! I bet you’re loving December! ? I’ve heard so many amazing things about the M&S Calender, both this year and last year, but I just haven’t got round to picking it up myself – there are some really amazing brands included, and for the price when it was on offer, it’s incredible! I hope the next few days on both are just as good as the first.. ? That bomb cosmetics sounds so good! So many great items, gosh love these advent calendars this year!